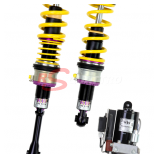 In order to improve the handling of your Audi as well as giving it a sportier look by lowering your chassis, the best solution is to replace your original shock absorbers and springs by a coilover system. 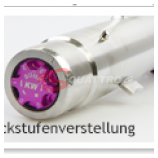 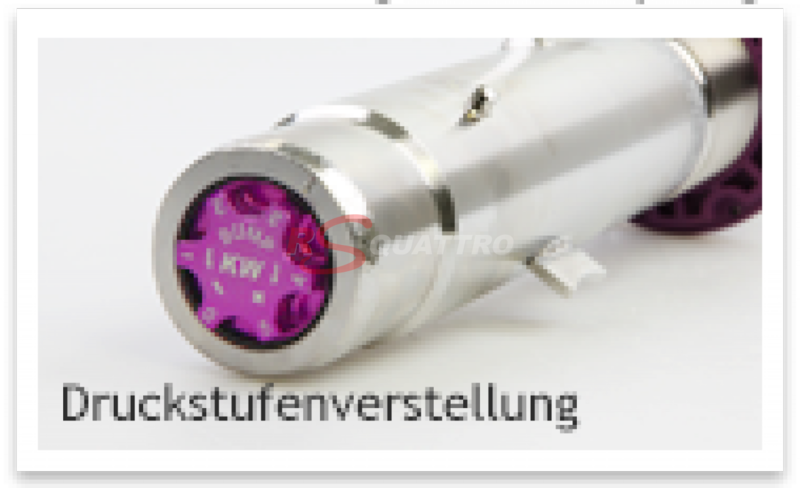 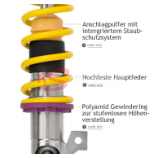 We work with the European leader in this industry “KW suspensions” which sells more than 80000 references per year. 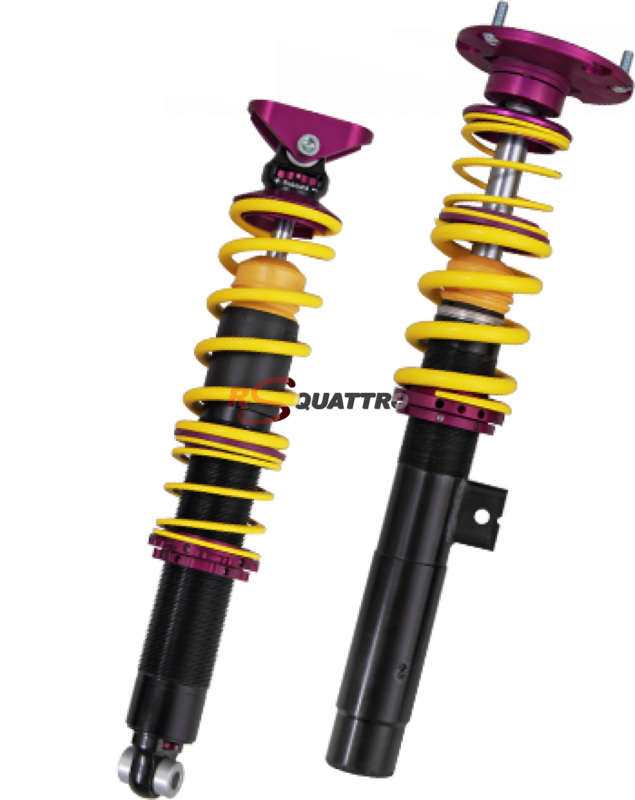 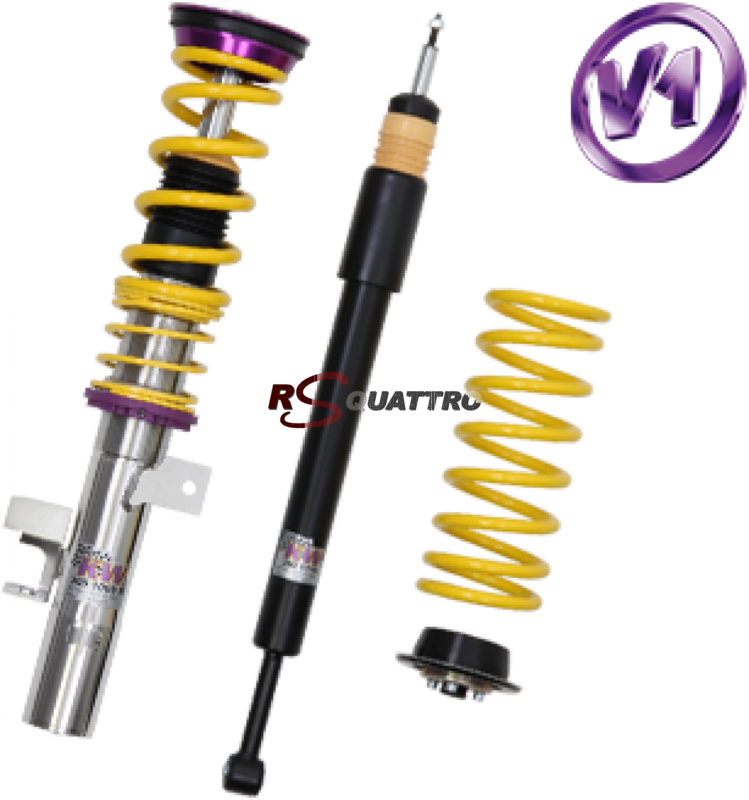 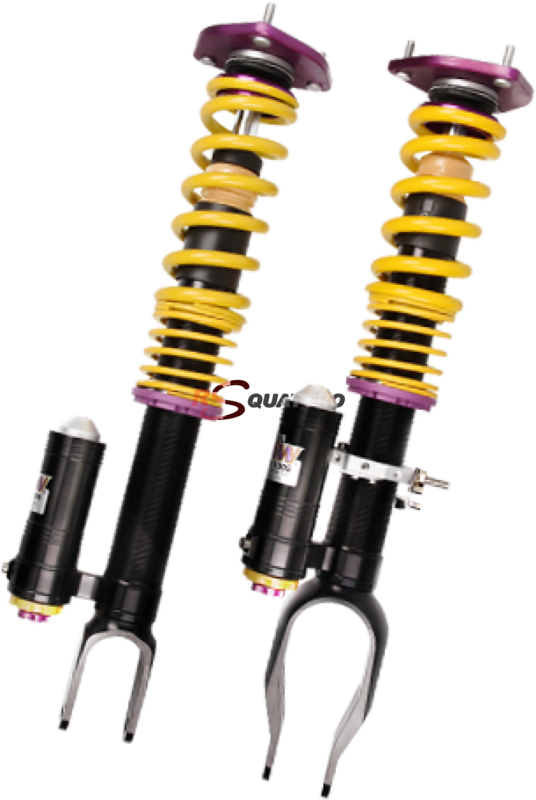 We particularly recommend the coilover Variant 3 versions which are a perfect match for AUDI S and RS models. 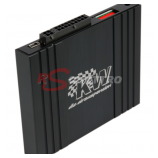 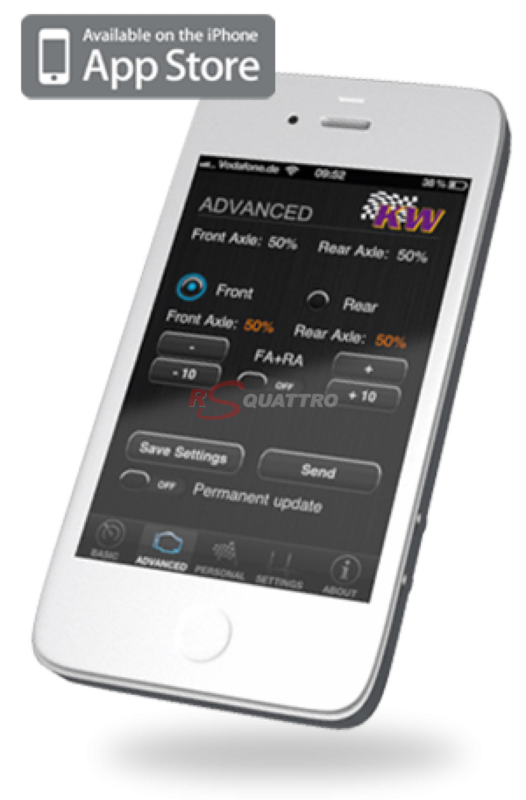 These Variant 3 systems are of course available for the majority of other Audis. 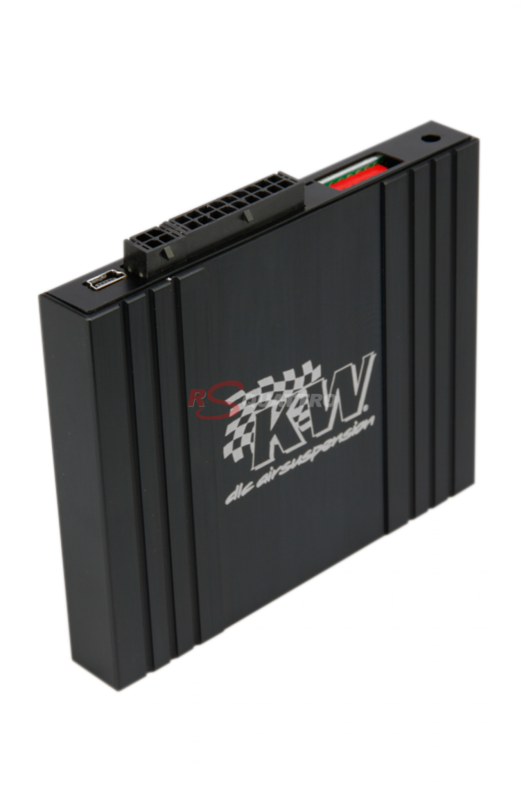 If your budget does not allow you to select the V3, KW has an excellent entry level product called the Variant 1, which also uses the stainless steel technology (vs. galvanized technology used by competitors much less resistant to corrosion over time). 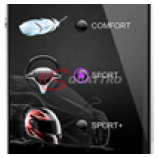 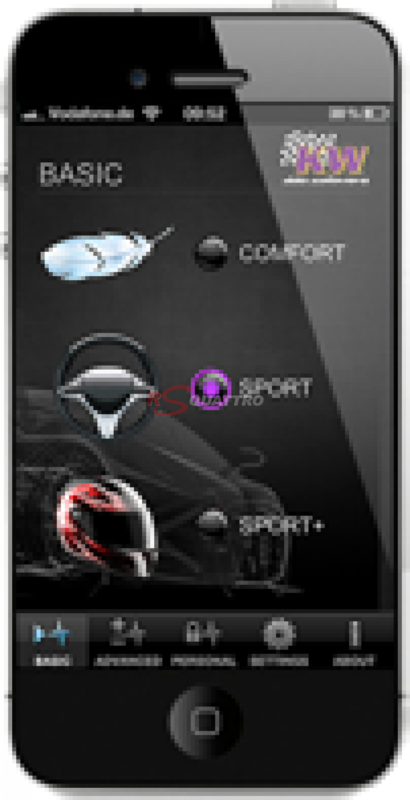 There are many models available besides the V3, like the V1, the V2, the Street Comfort, the HLS (Hydraulic Lift System), the Clubsport, and the Competition. 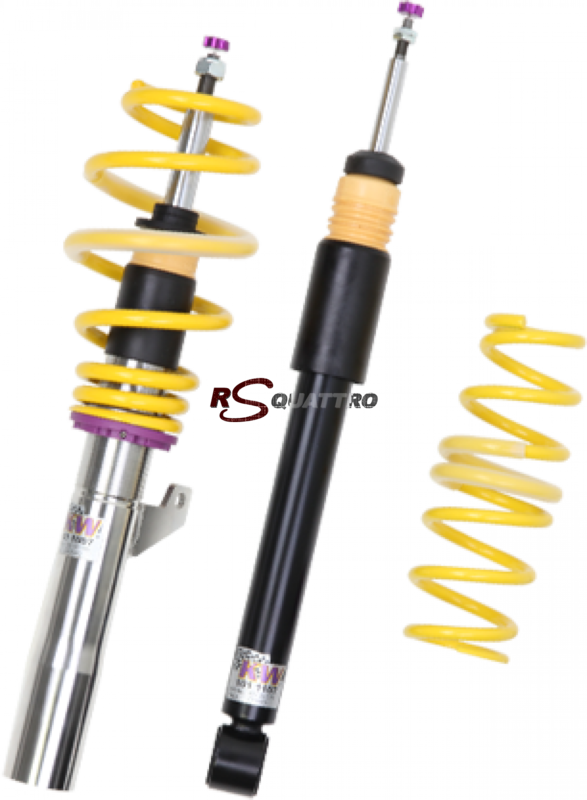 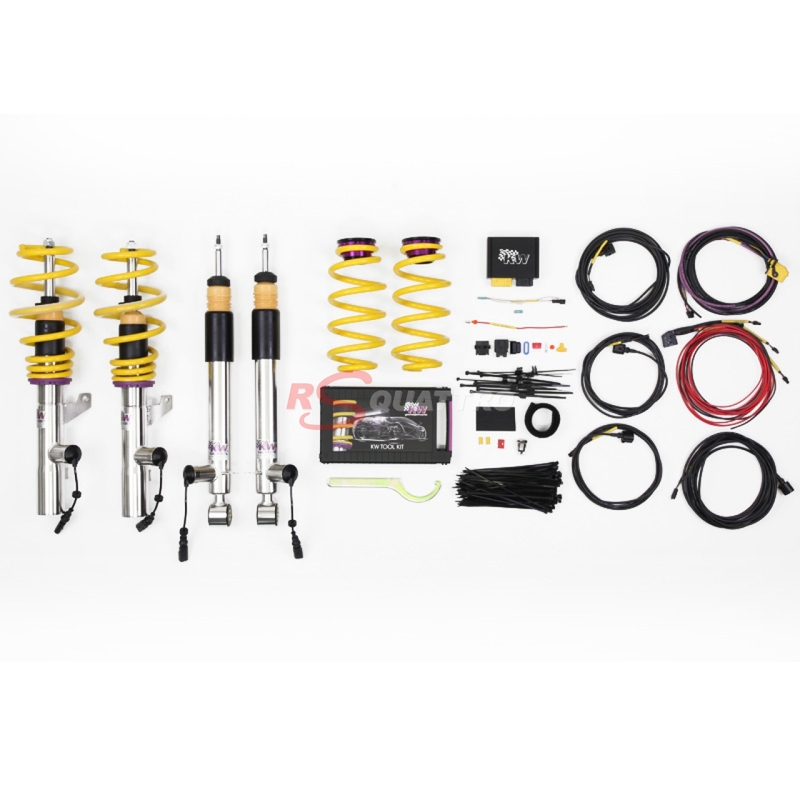 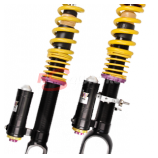 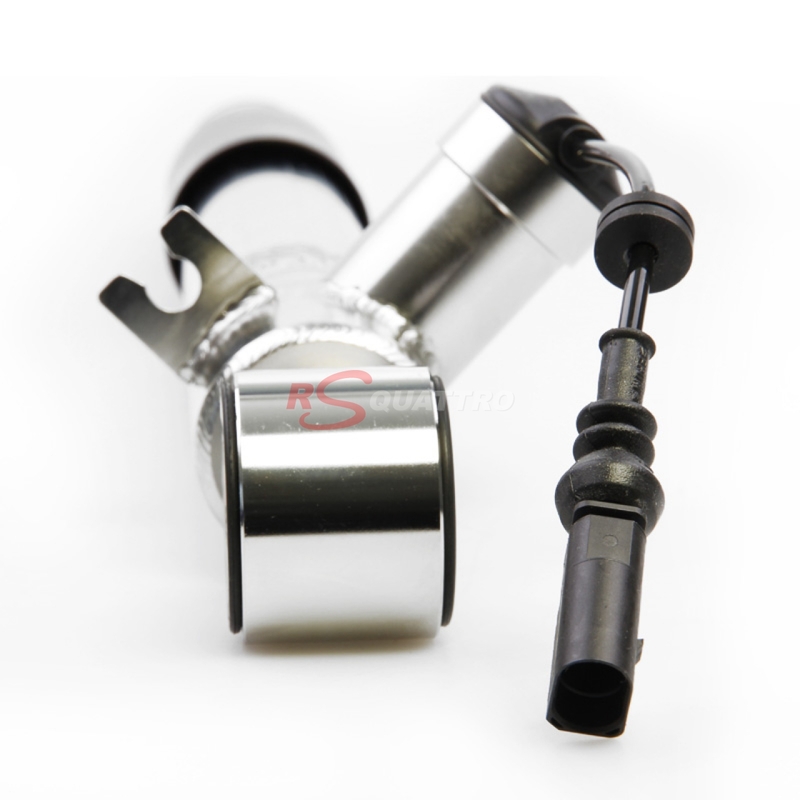 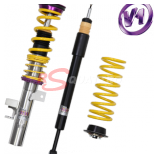 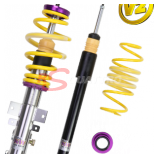 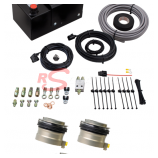 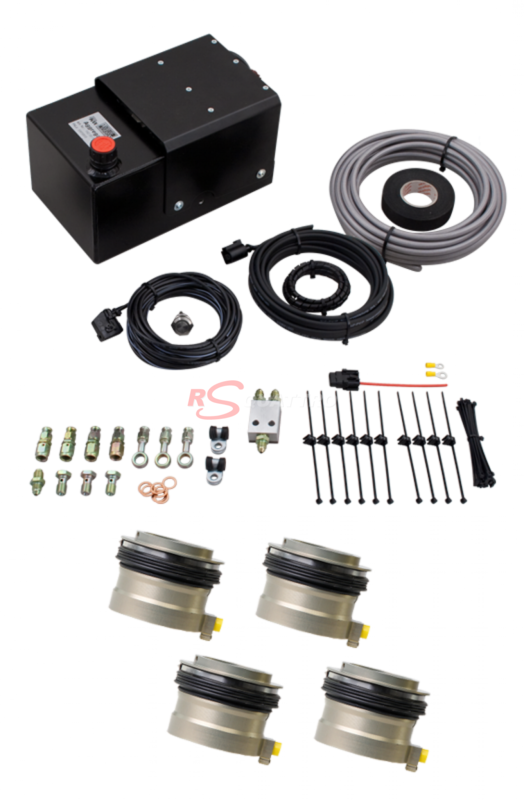 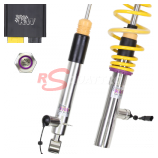 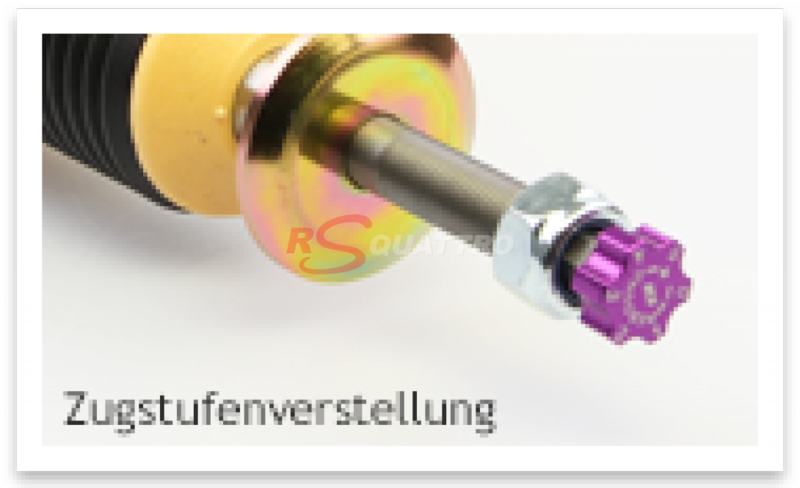 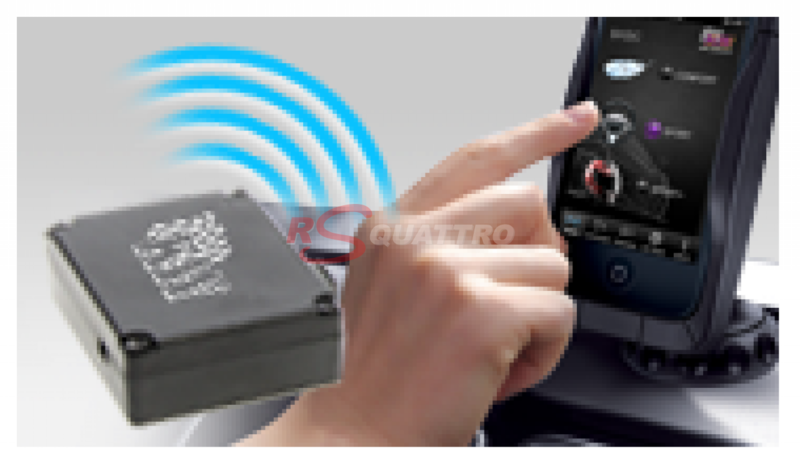 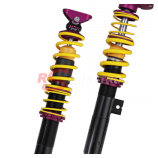 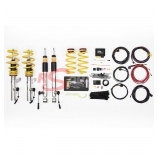 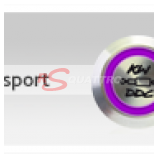 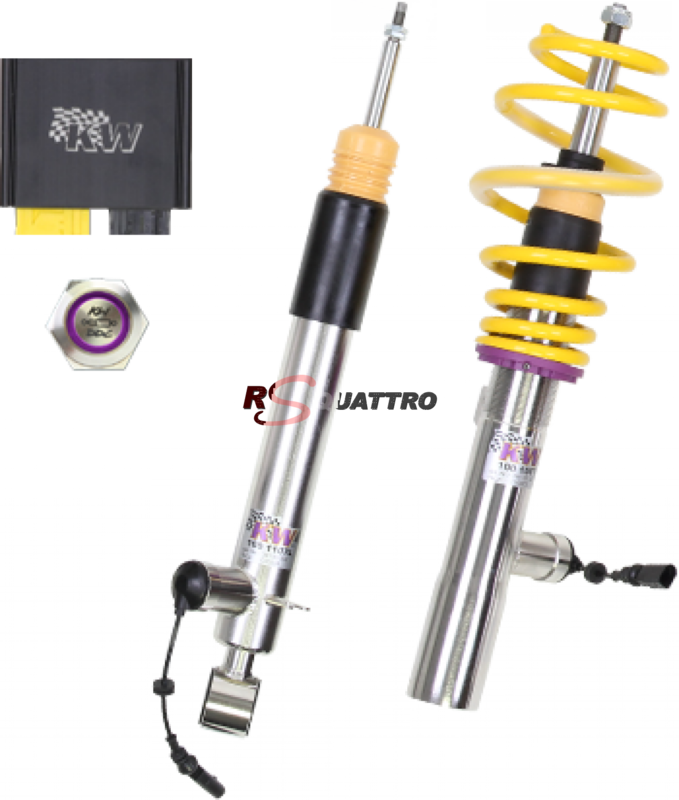 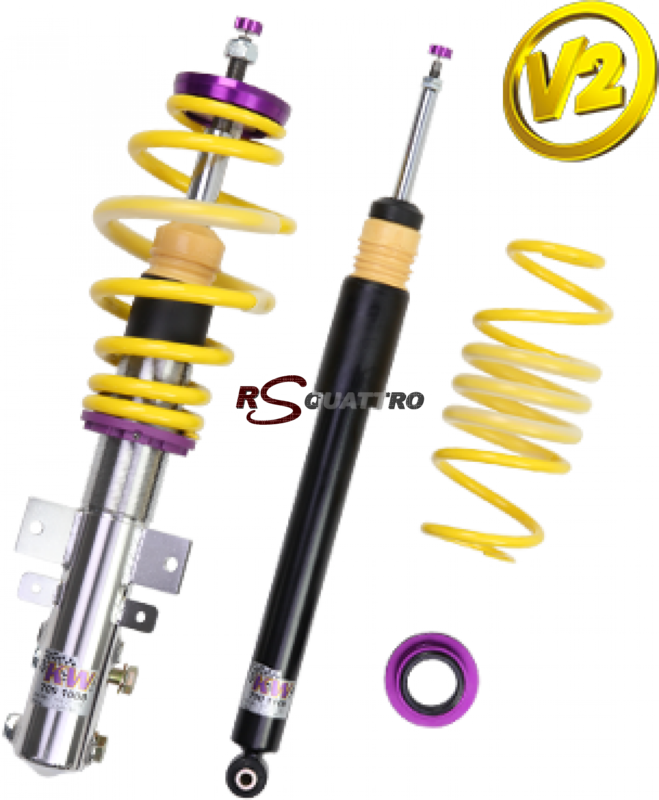 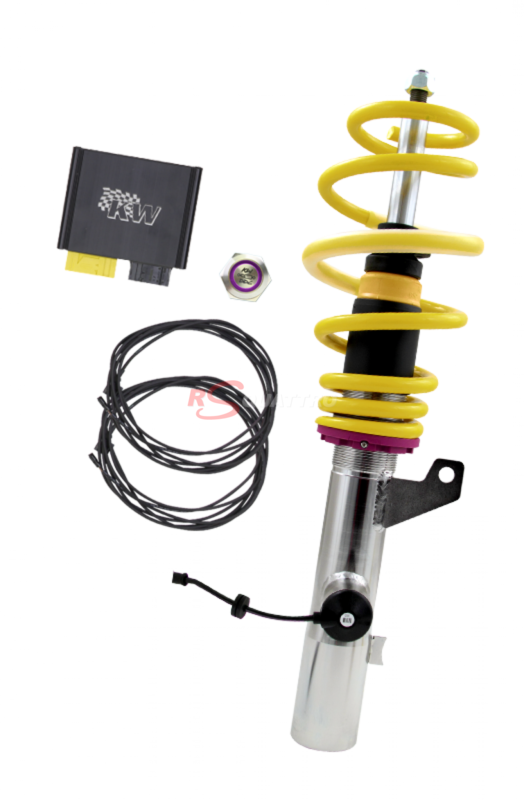 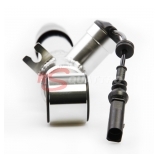 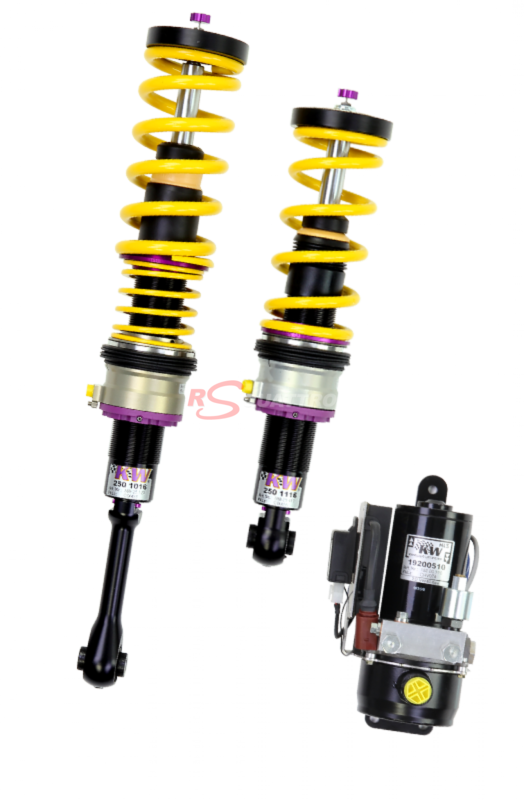 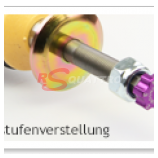 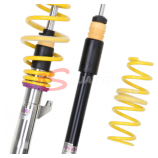 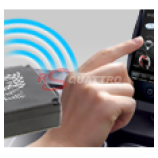 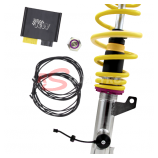 Recently has been added to the lineup: “DDC” system which is an adjustable in hardness coilover system with adjustability from the inside of the car (and via smartphone APP), as well as since late 2012, a system that allows lowering the cars equipped with pneumatic suspensions and this up to 50mm in certain applications.